While the Berkshires is known for the natural beauty and abundance of outdoor activities, there are also several fantastic museums for those who are interested in history, art and culture, or for anyone to enjoy when the weather is less than ideal. If you love visiting at least one cultural institution when you vacation, consider these RTX destinations with fascinating museums that are sure to impress. The Palm Springs Art Museum features art collections on loan from or donated by the area’s affluent residents and is said to rival even the best urban metropolitan museums. Throughout the museum’s 150,000 square feet you can browse major collections of modern and contemporary art, glass, photography, architecture, sculpture and design as well as Native American and Western art. 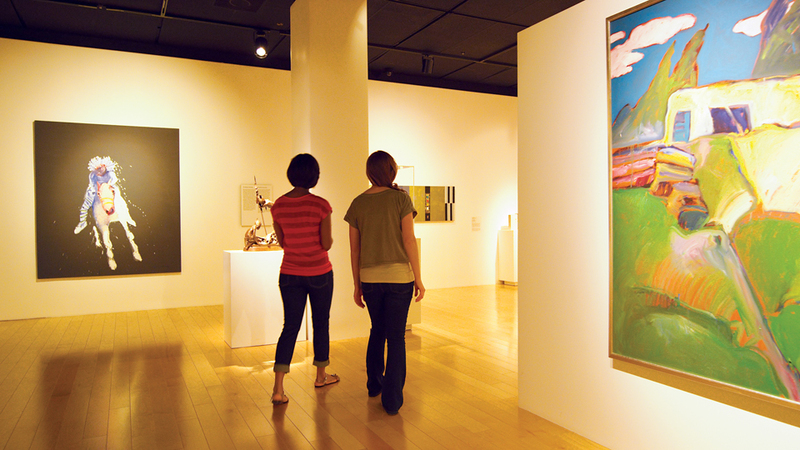 Delve even further into this desert town’s art scene with a guided tour of the area’s galleries and museums, or visit the galleries and studios that are abundant in Uptown Palm Springs or the Backstreet Art District. Just a half hour south of Dunedin in St. Petersburg, The Dali Museum features key works from every medium and moment of surrealist artist Salvador Dali’s career (1904-1989). The museum is home to 96 oil paintings, more than 100 watercolors and drawings, 1,300 photographs, graphics and sculptures as well as book works, manuscripts and an extensive archive of Dali documents. Of the 18 masterwork paintings by Dali an impressive seven are on display here, the most of any museum in the world. 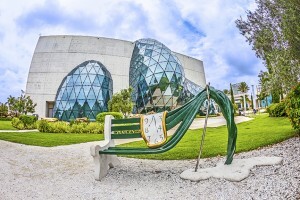 With the most comprehensive collection of Dali artwork outside of Europe, permanent and rotating exhibits, a stunning new building and outdoor gardens, The Dali Museum is an entire day of intrigue and awe. 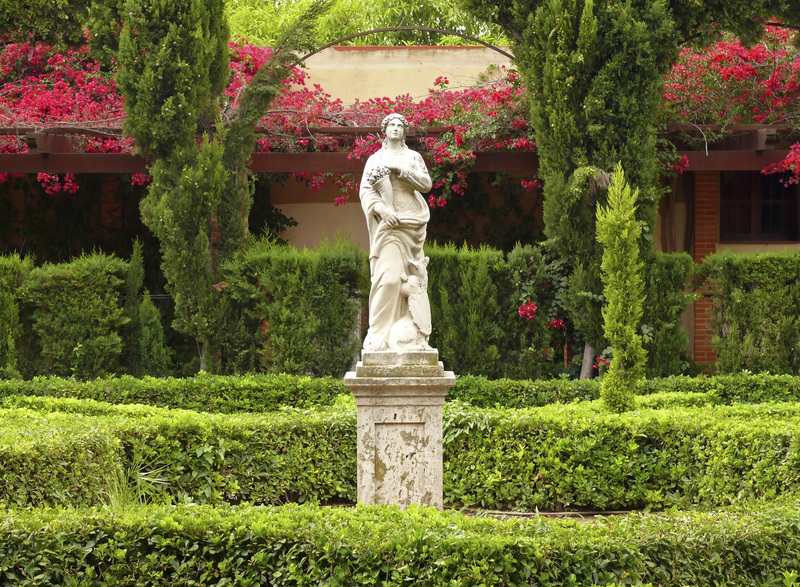 The Albin Polasek Museum and Sculpture Gardens is in Winter Park, just north of Orlando. The small museum gallery hosts temporary exhibits, but the main attraction is the beautifully landscaped garden with a gorgeous view of Lake Osceola. 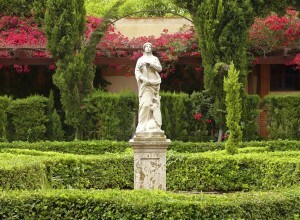 There are 50 sculptures displayed throughout the 3-acre garden. Some of the plantings still there today were originally placed by Polasek and his family as early as 1949. Docent-led tours of Polasek’s historic home and chapel are included with the admission price. You’ll see even more of the artist’s sculptures as well as the beautiful architecture of where he lived, worked and worshipped in the last part of his life. The Crystal Bridges Museum of American Art’s permanent collection spans five centuries, featuring masterworks by artists from Colonial times through today. The collection on view in the Museum’s main galleries is arranged chronologically, providing guests with an overview of both the art and the history of America. A variety of temporary exhibitions are displayed throughout the year, which enhance the experience of the museum and celebrate special presentations of art from other museums’ collections. 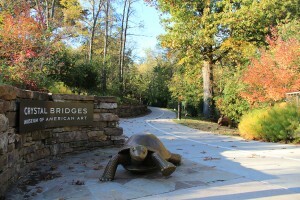 More than 3.5 miles of nature trails wind through the museum’s 120-acre site, featuring outdoor artwork against the beauty of the Ozark Mountain backdrop. General admission to the museum is free.